This past Sunday I made the trip up to Orlando for a day at the Universal Orlando Resort. 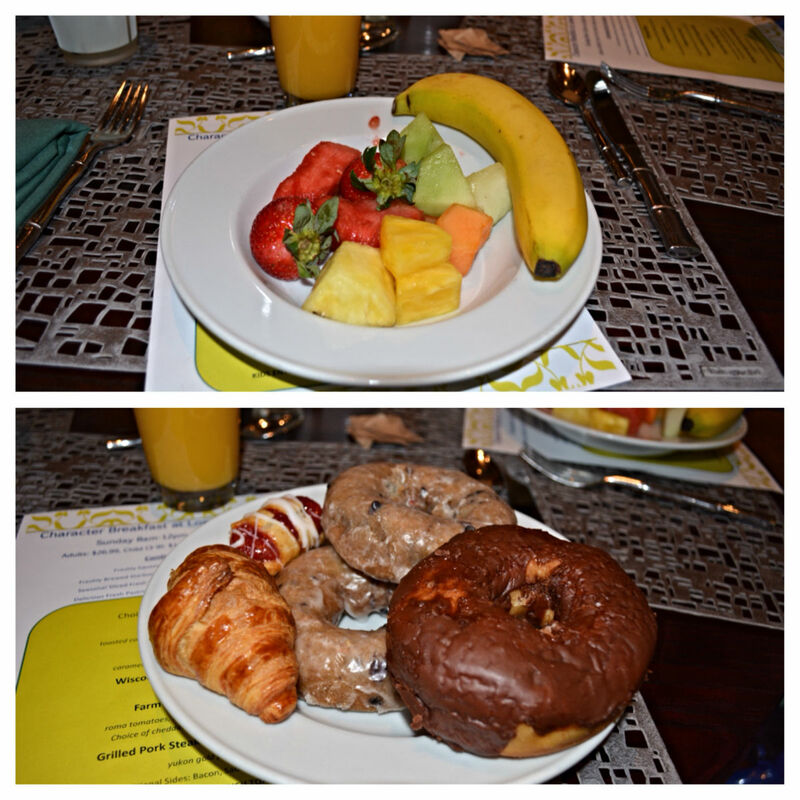 The first stop was at Jake’s American Bar at the Royal Pacific Resort for the on-site hotel character breakfast. This would be my first ever character breakfast, and we were drawn to it because of the characters from Despicable Me. 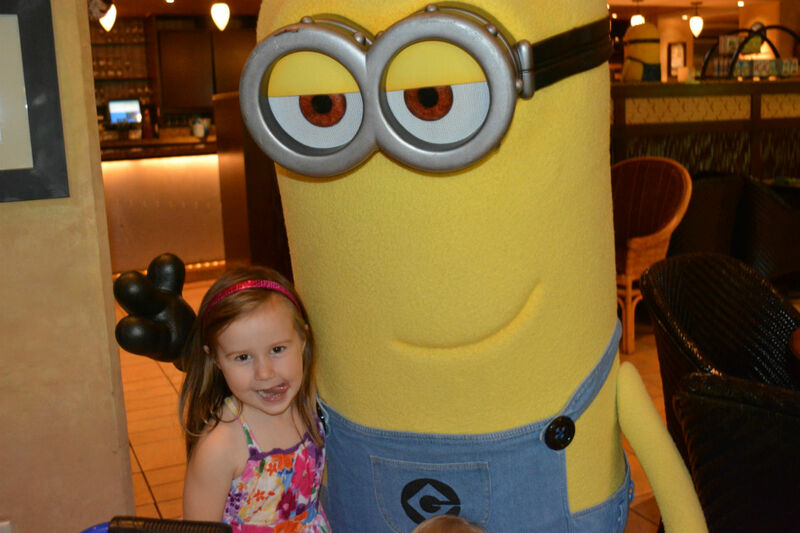 It’s safe to say that meeting Gru and a Minion was pretty special to the youngsters in our party. Some bunny characters from the movie Hop made an appearance, as well. I’ll be doing a full review of the experience later this week for the TouringPlans blog, but here’s some quick info. 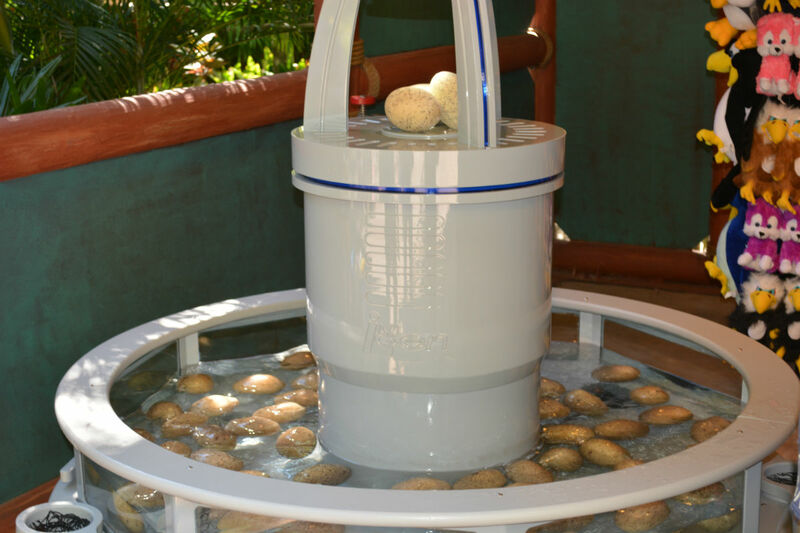 The on-site character breakfast takes place every Sunday from 8 AM to noon at the Royal Pacific. The price is $26.99 for adults and $14.99 for children. The food was amazing, and every table got a ton of time with all the characters. For more info you can call 407-503-3463 or go to the Open Table website and make an online reservation. The choices of food include a full continental breakfast for everyone, along with one plated selection for each guest. I’ll go over all the options in the full review, but here’s a look at the first pass at the continental breakfast section by my girlfriend and myself. See if you can figure out which plate was hers and which one was from the guy who has tried to eat a three pound slice of cake, twice. Getting fruit at a buffet is like going to an IMAX theater to see a documentary. 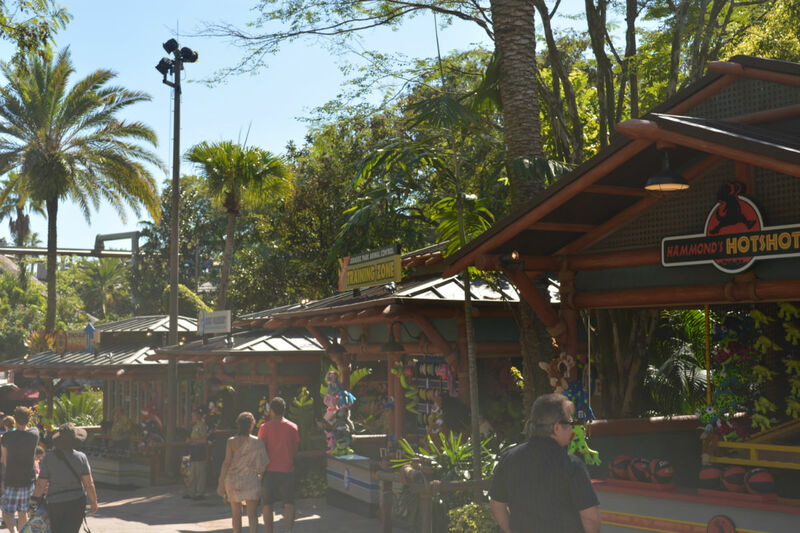 While the family enjoyed the incredible pool at the Royal Pacific, I walked over to the parks and CityWalk in order to report back to you – Dear Reader – the latest goings on at UOR. 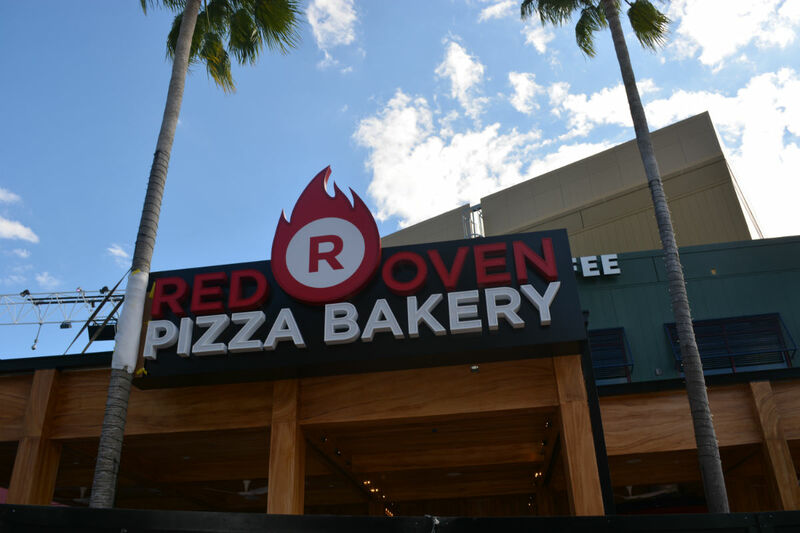 As Seth Kubersky reported earlier this week, the new Red Oven Pizza Bakery (which replaces the old Pastamore quick service location) is looking like it’s ready to open relatively shortly. 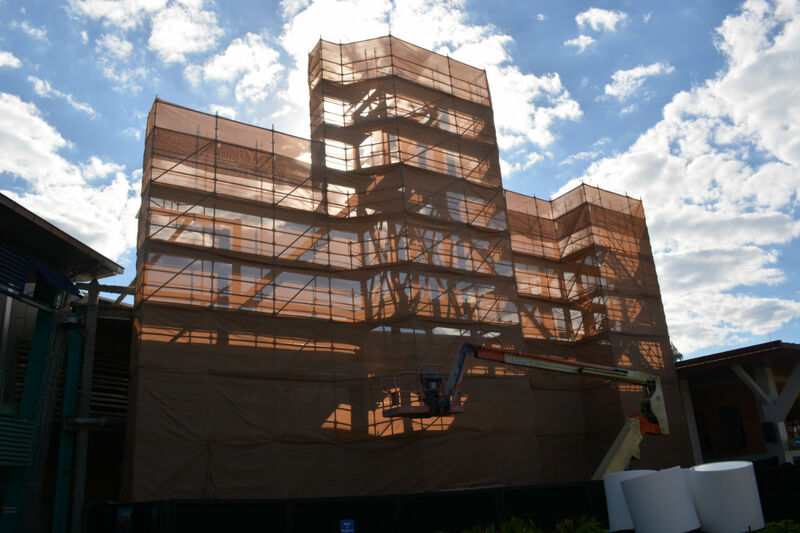 Also in CityWalk, a lot more construction is going on in the area that used to be Latin Quarter. This venue is next to Jimmy Buffett’s Margarittaville. It is rumored that the new venue will be named Don Quixote’s and offer Mexican fare. The future home of Don Quixote’s? 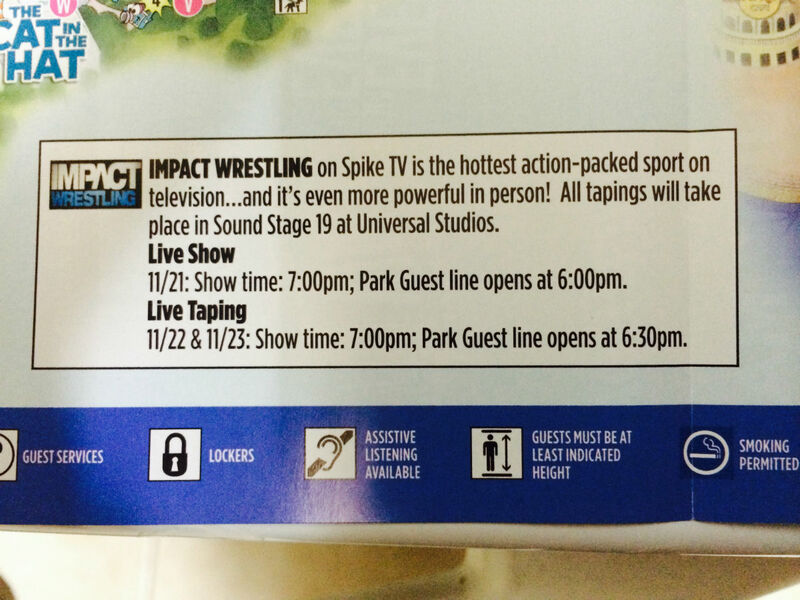 Once going into Islands of Adenture, I discovered that the TNA wrestling taping schedule is already on the new park maps. Pretty quick turnaround since the news of TNA returning to Universal Studios just broke over the past few days. TNA won’t be returning to its old home, The Impact Zone, as that area still has remnants of Halloween Horror Nights inside of it. In fact, TNA fans may want to check out this article on a lights-on tour of the haunted houses in Soundstage 22 to see an interesting picture from TNA’s past. 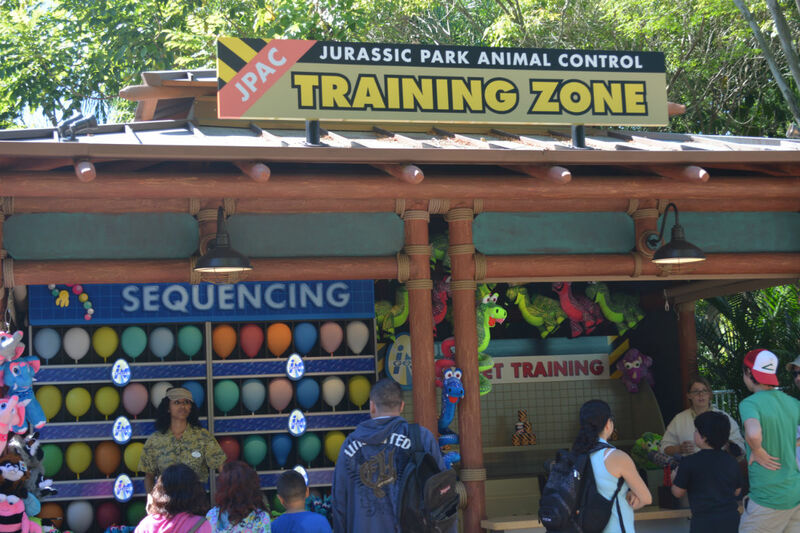 The biggest news inside IOA is the official opening of the Jurassic Park midway games. This area has caused quite a controversy on social media and Universal podcasts, with the vast majority of people against the new games. I’m actually a big fan of midway games at Universal, especially the new themed ones in Universal Studios Florida at Springfield USA. They are fun, look great, and many of them have exclusive merchandise you can’t buy in any of the stores. During Halloween Horror Nights there were new midway games set up across from Monsters Cafe, and they had Minion plush dolls themed to vampires and mummies. Over in Springfield you can win Sideshow Bob or Spider-Pig plush, two characters you can’t buy anywhere else in the park. 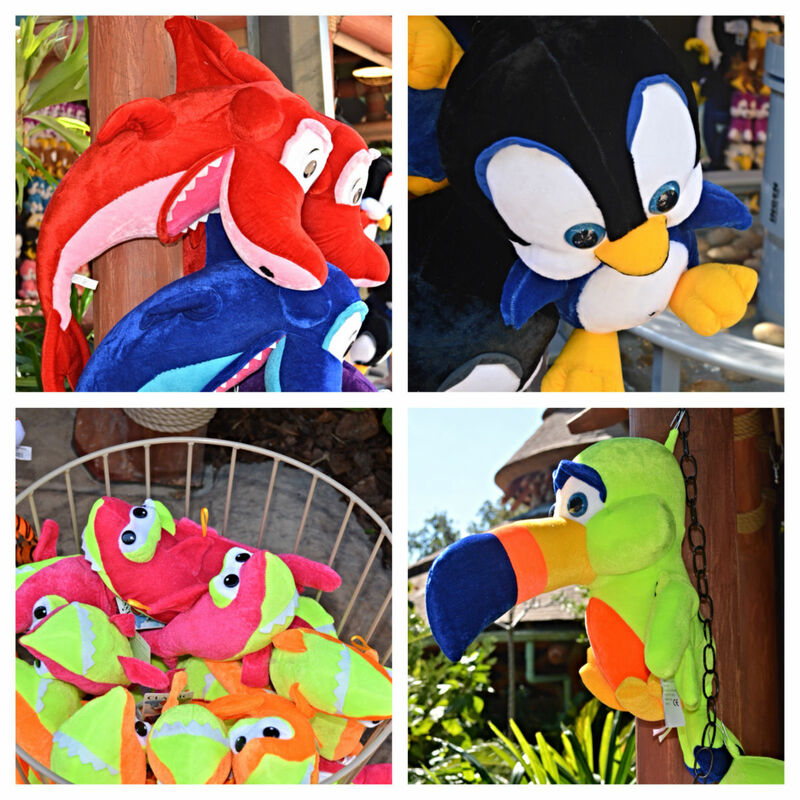 However, the merchandise you can win at the new games in Jurassic Park includes maybe one dinosaur related item, while all the rest are fish, elephants, sharks, cats, parrots, and basically every thing you can think of but a dinosaur. Mind boggling. Instead of a parrot, why not a pterodactyl? Instead of a snake, why not a T-Rex? I just don’t get it. Nothing says Jurassic Park like a penguin and a toucan. 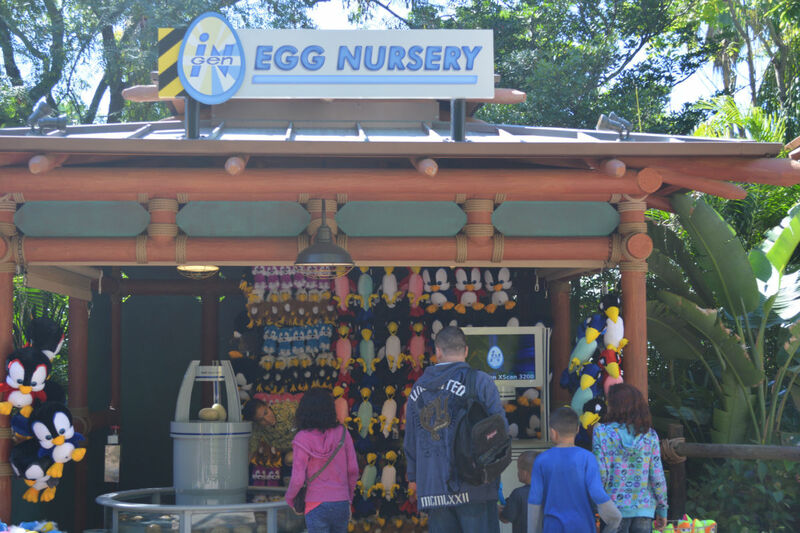 As you can see, the theming was there but the prizes seemed to belong more at Six Flags than the new direction Universal is heading in with the perfectly themed merch you see for the Wizarding World of Harry Potter, Duff Gardens, and Despicable Me. While I was in the Jurassic Park section of IOA, I stepped into the Discovery Center to grab a picture of something that most guests miss. Downstairs, amidst all the interactive exhibits, is a small homage the original Jurassic Park film (one of my all time favorite movies and one I feel still holds up to this day). 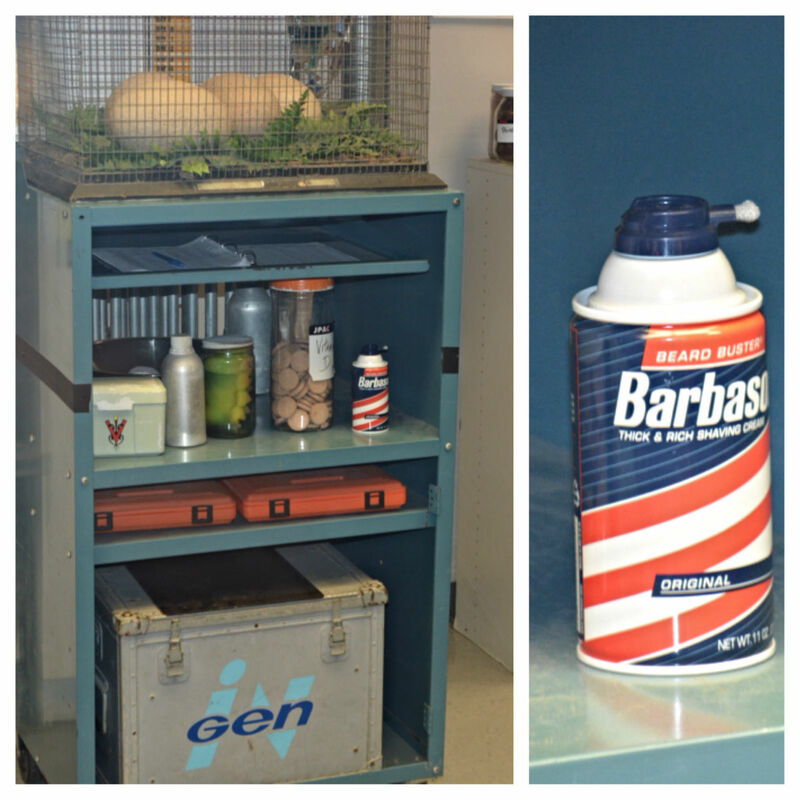 Does this Barbasol can hold 15 specimens of viable dinosaur embryos? Only Dennis Nedry knows and thanks to a Dilophosaurus, he ain’t talking. 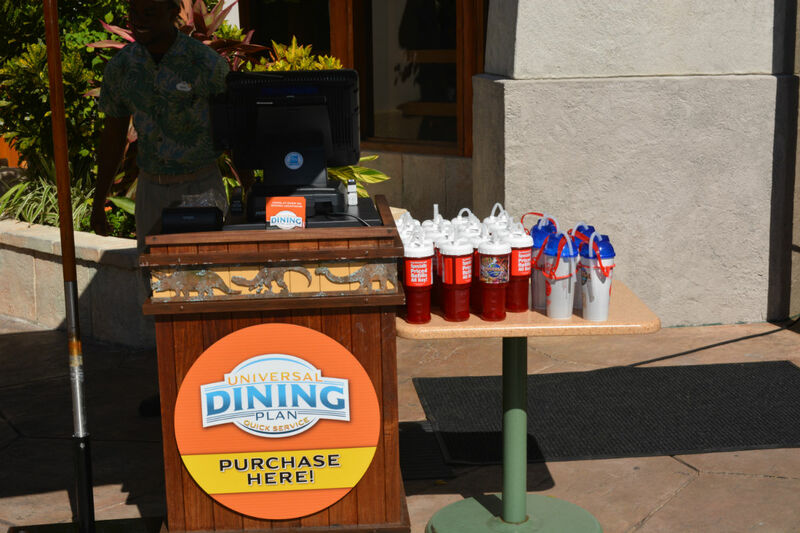 I believe November 3 was the start of the new Universal Dining Plan Quick Service option at the parks, and there were pamphlets all around IOA along with several stands such as the one below. The price for the Quick Service plan is $18.99 for an adult and $12.99 for children 3-9. 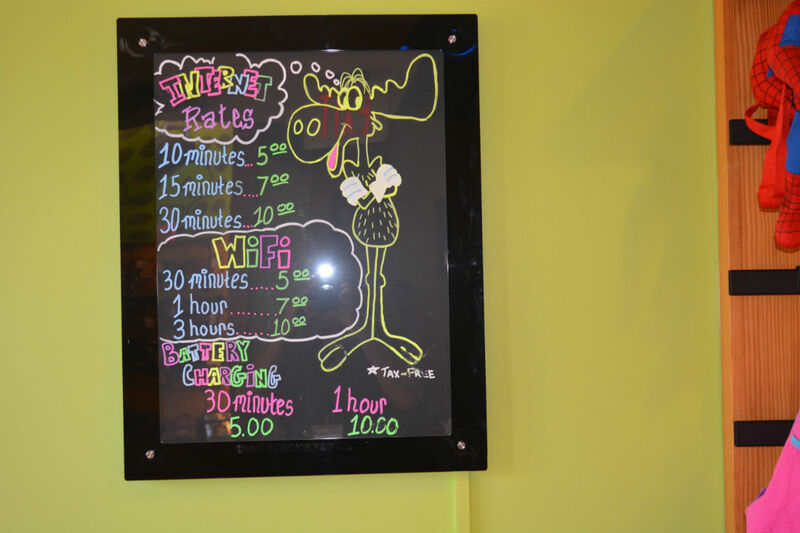 This entitles each guest to one counter service meal (one entree and a non-alcoholic beverage), two snacks (for adults, children get one snack), and one non-alcoholic beverage. After leaving Jurassic Park, I made a stop by Toon Lagoon and finally stepped into Wossamotta U to see what Universal charges for people to charge their phones. The price is $5 for 30 minutes and $10 for an hour. You can also go online in this small area with rates starting at $0.50 a minute, which is actually a deal compared to the $0.75 a minute Royal Caribbean was charging on my cruise last month. 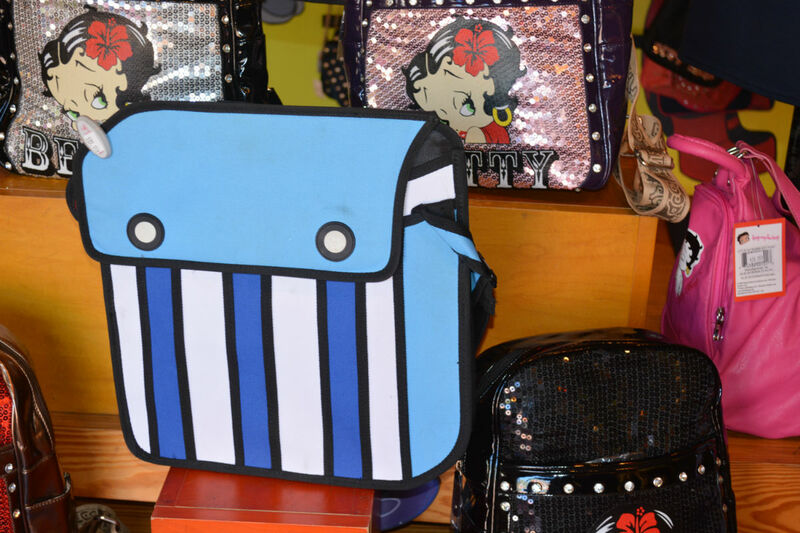 There is a small gift store in this shop selling mostly bags and cell phone related products (like cases), but it does contain one of my favorite pieces of merch in either park, these 2-D inspired bags. At $85 and $115 they are a bit pricey, but I think they look fantastic. 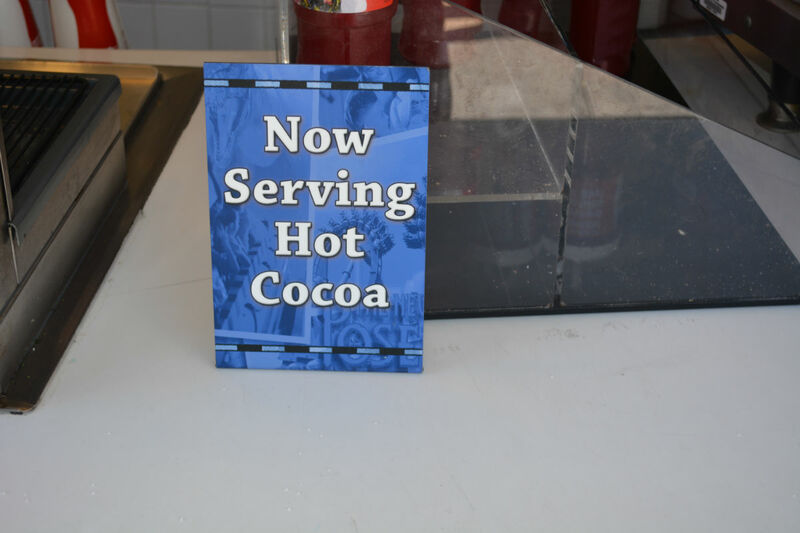 Since we’re technically in the fall in Florida, some of the beverage locations were offering hot cocoa for $2.49 a cup. Considering it still felt extremely warm outside, I’m not sure how many of these they are selling right now. It’s 75 degrees in Florida, that means parkas and hot cocoa time. 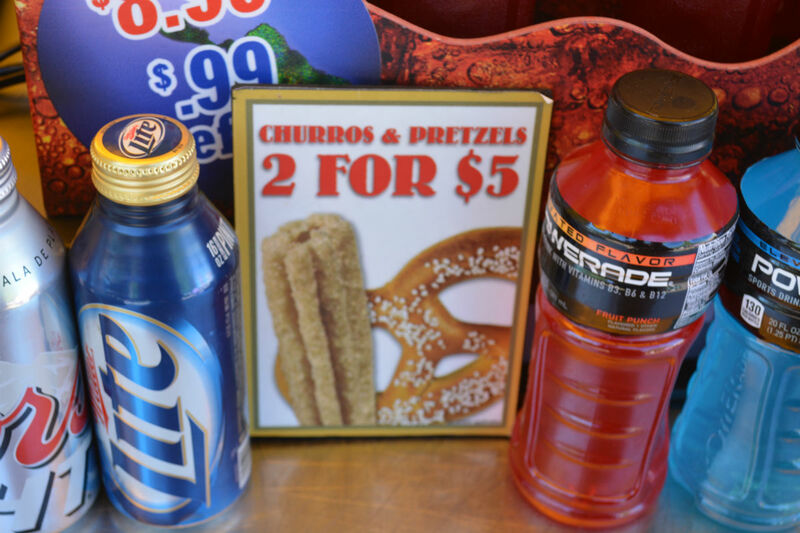 They were also offering a 2 for $5 deal on churros & pretzels. 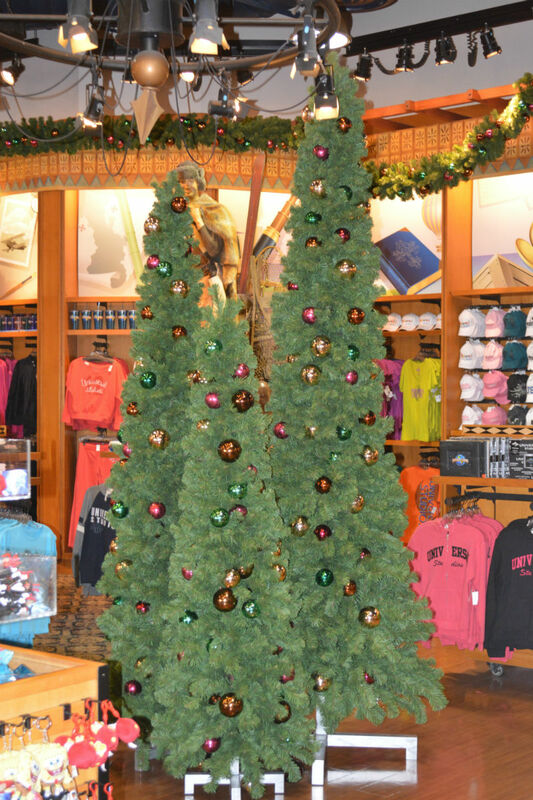 Like Disney, Universal has its “Christmas all year long” stores, but the holiday decorations are now starting top pop up in the main gift stores, as well. Over at Universal Studios Florida, the last HHN event was the night before, and almost all of the set pieces were still in place, including the tank. 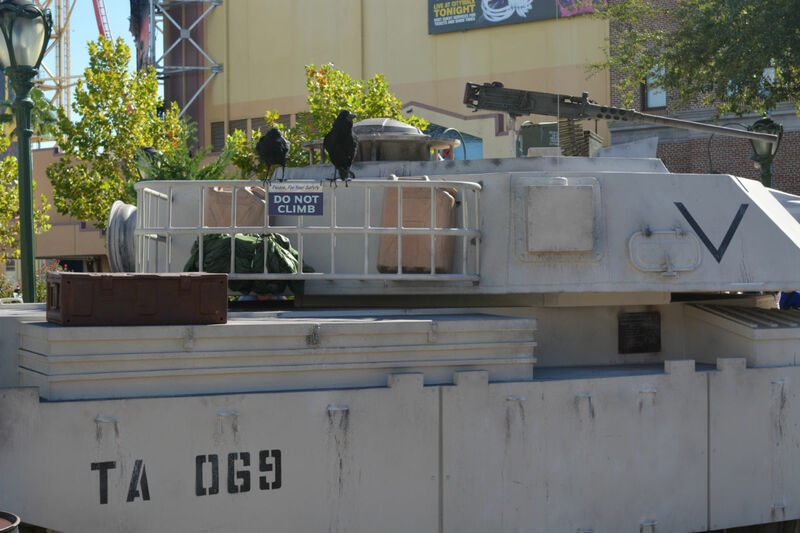 If you want to know the significance of the crows sitting on top of the tank, check out this article covering the Morning Menace Unmasking the Horror tour. I’m not sure where I read it earlier this week, but I saw a post somewhere that said Universal had gotten rid of almost all of its Jaws merchandise. There used to be a cart over by Chez Alcatraz selling Jaws merch, but that is now selling Despicable Me branded items. The Jaws stuff has been moved all the way up to the front of the park by the exit at the That’s A Wrap store. 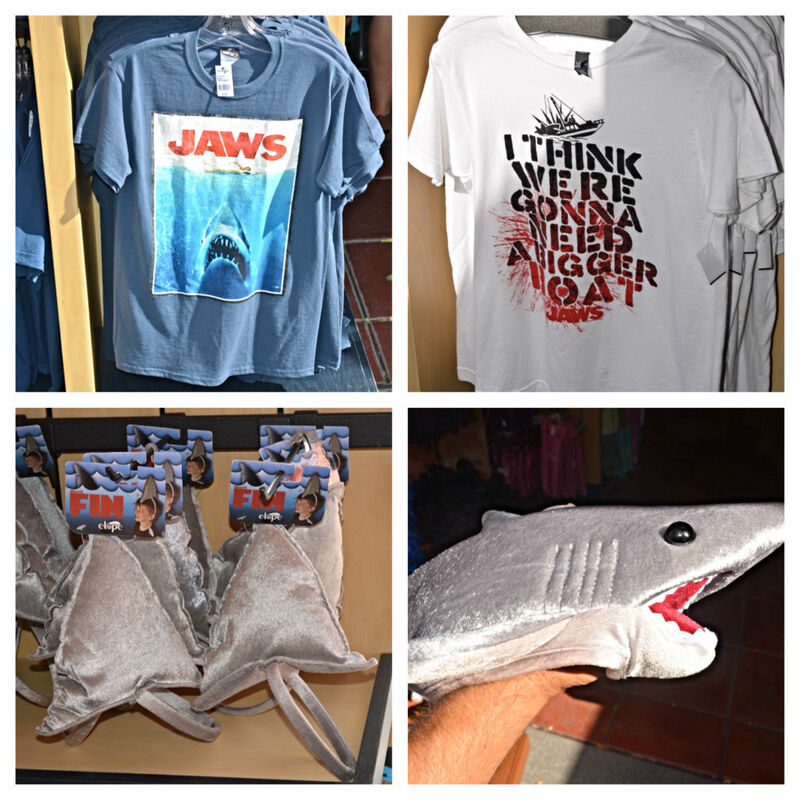 I firmly believe Universal would make a killing with exclusive Jaws, King Kong, and Back to the Future related merchandise. 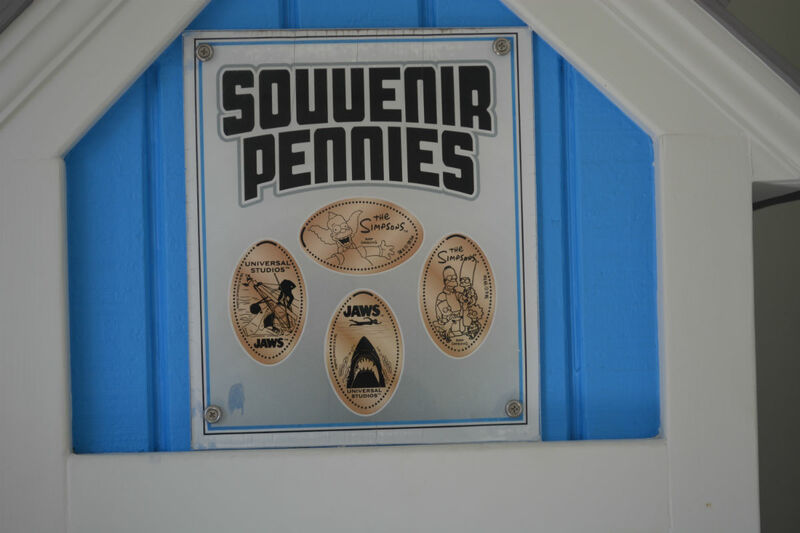 The bathrooms over by the old home of Jaws (and right in front of the new Diagon Alley construction) still have some of my favorite Jaws collectibles in the form of pressed pennies. 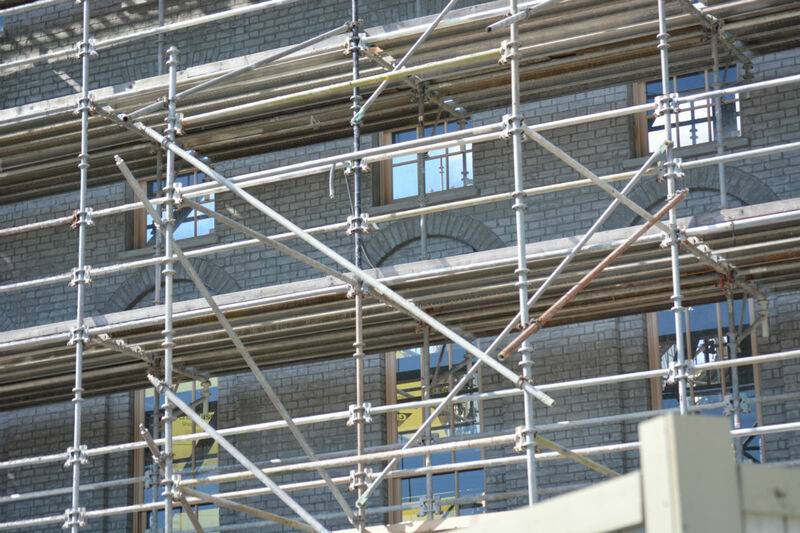 Speaking of Diagon Alley, construction is humming along, and brickwork and windows have started to show up in the London waterfront facades. 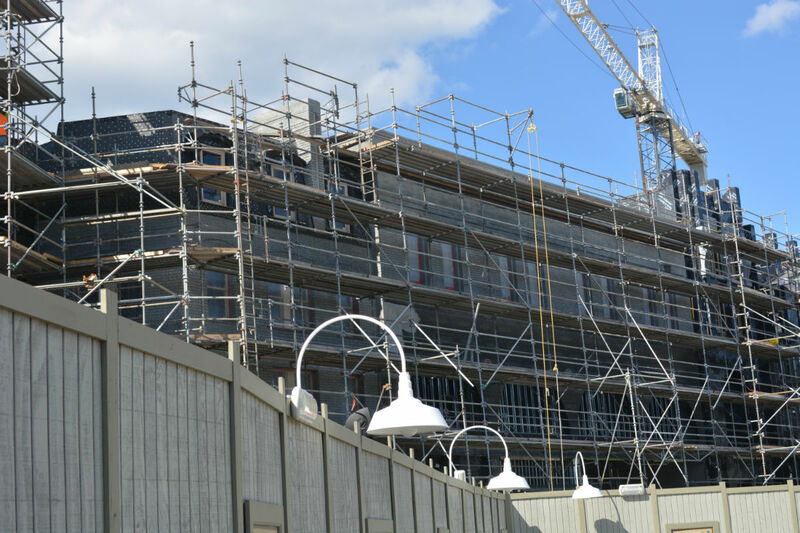 And the actual Diagon Alley behind the facades are starting to develop nicely, as well. 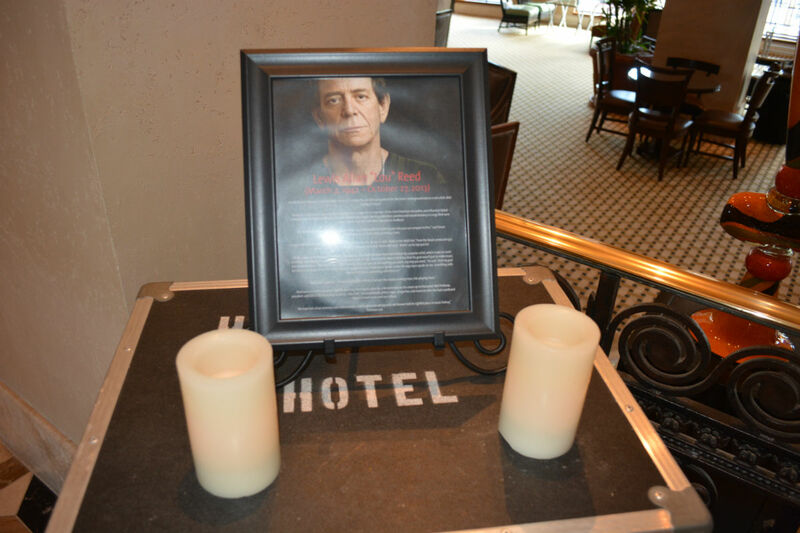 Leaving the theme parks, I walked over to the to see the nice tribute they had for Lou Reed in the lobby. 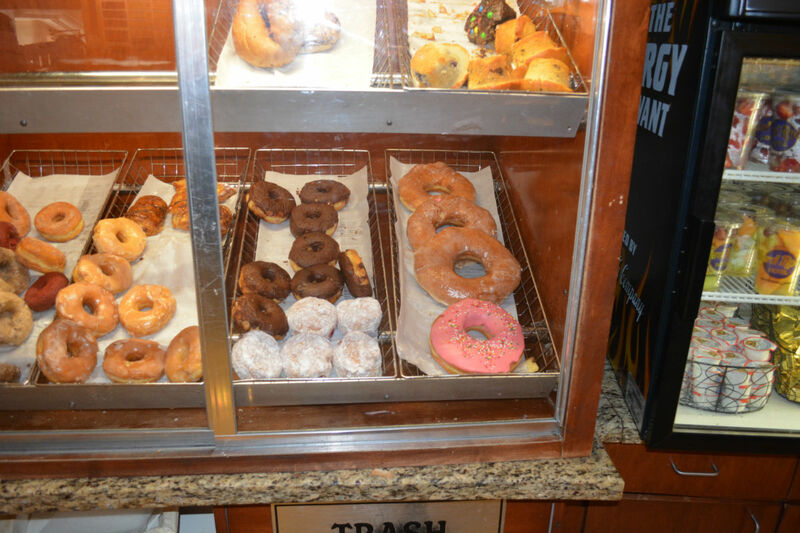 While at the Hard Rock I had to head downstairs to Emack & Bolio’s Marketplace to make sure they were still selling the King Donut. Sure enough they were, and it actually seems even bigger than before. There are donuts and then there are donuts. The King Donut is the latter. 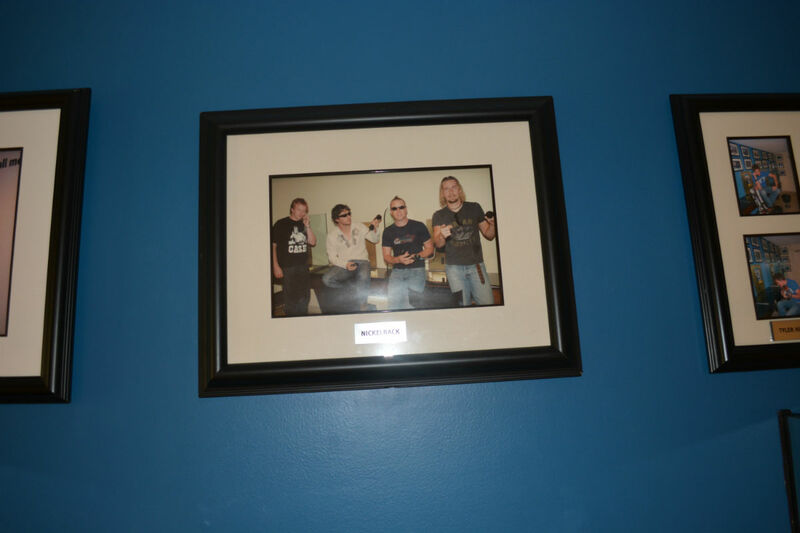 On my way out of the Hard Rock I noticed something I had never paid attention to before. 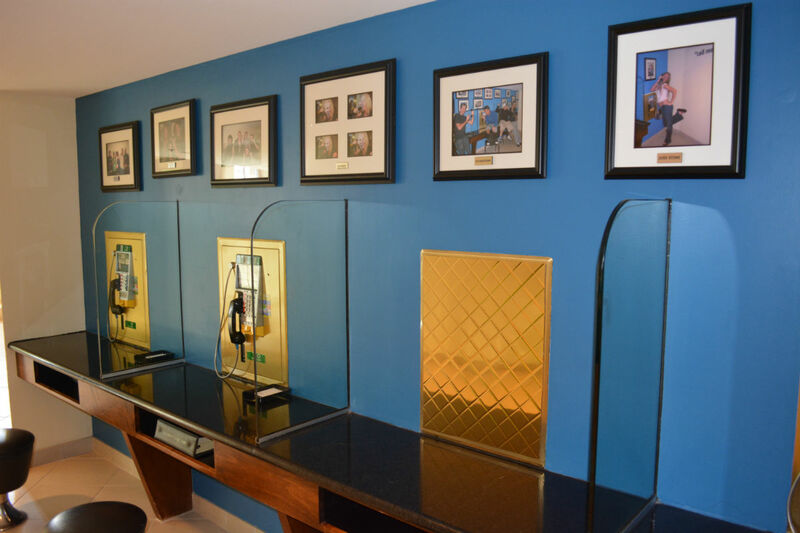 There is a set of pay phones on the ground floor, and all around them on the wall are pictures of various music acts in front of those very same phones. Among the musical acts mugging for the camera was none other than blogger extraordinaire Morgan Crutchfield’s favorite band, Nickelback. We’re gonna end this article on a BANG! 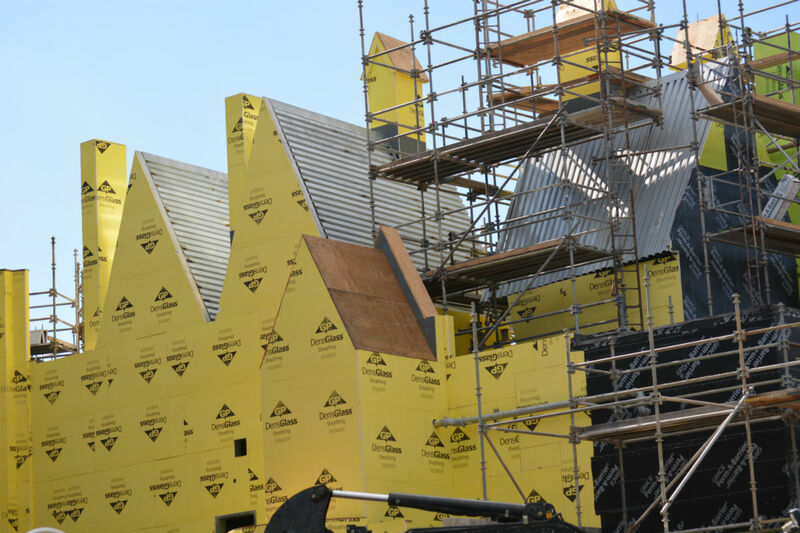 That’s it for this snapshot of the Universal Orlando Resort. I’ll be back soon with a review of the character breakfast, but while you’re waiting feel free to check out previous editions of The Saturday Six or The Magic, The Memories, and Merch! Feel free to stop by on Twitter and tweet me (@derekburgan) with any Universal questions, comments, or rants. I like the giant minion and the display.. I’ll get there soon to visit Pizza Paradiso Orlando, maybe I’ll drop by a bit and see the place.